18 Mary Magdalene went and announced to the disciples, “I have seen the Lord”– and that he had said these things to her. 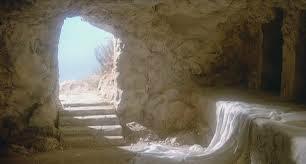 Today we rejoice and celebrate the resurrection of our Lord Jesus Christ. Let us take a closer look at these events and see how foundational they are for our faith. What does it mean – to be a Christian? It is so often misunderstood. Many admit that these teachings of Jesus are really good, and He seems to be a very nice person. Similarly as other ‘big teachers’ of humanity. If only, these people say, we could omit those mythological parts, where all those miracles are described, and, of course, this naïve story about the resurrection from the dead. And if only these Christians would stop claiming that Jesus is the only way that leads to the true God. If we could remove those – then Christianity would be, indeed, a very nice religion. Probably they are right. Then Christianity would be nothing else, but just a nice religion. Even we ourselves tend to forget, what is the very essence, the very core, of our faith. Today’s Gospel is a wonderful reminder of what the true basis for our faith is. The Gospel of Jesus Christ, especially the second part of the Gospel narrative, is the story about incredible change. We still remember what happened before the Holy Week. Jesus, this teacher from Galilee, was preaching and teaching about the Kingdom of God. His listeners knew well their own history; they remembered the golden age of peace, justice and prosperity during the reign of king David. They knew too well that Almighty God had promised that He will establish a Kingdom for His Son that will endure forever. They had been waiting for the fulfillment of this promise for centuries. Then, just few days before, there had been also the triumphal entrance into Jerusalem, where the multitudes of His disciples shouted: “Blessed is the King who comes in the name of the Lord!” Even the Pharisees and high priests could not stop it. Ridicule, mockery, the cross, agony, death… darkness and total forsakenness. What might have Jesus’ disciples felt at that time? They had left everything: – their families, their businesses, their homes – to follow Jesus. Because they believed that He was the one, for whom they had been waiting for. Three years. Three years together with Him. Recently they already had begun to divide offices in Jesus’ coming kingdom, arguing who among them will get the highest position. And now everything was lost. Everything that they were hoping for was gone. Jesus was dead. Crucified and buried. What is left? A big hole in their life. Three years wasted. Besides, they are afraid that the angry leaders of their nation won’t let the situation go without getting the most out of it. The disciples of Jesus could be the next targets for the assault. Scared, shocked, confused. What has gone wrong? How could everything go so wrong?! Then we are reading that: “Now on the first day of the week Mary Magdalene came to the tomb early, while it was still dark, and saw that the stone had been taken away from the tomb. So she ran and went to Simon Peter and the other disciple, the one whom Jesus loved, and said to them, “They have taken the Lord out of the tomb, and we do not know where they have laid him”. More bad news on the top of what had already happen. What John is describing in his gospel is the moment, when the disciples of Jesus are slowly beginning to put together pieces of what really is going on. They are on the threshold of the most incredible change. Before Good Friday the disciples were thinking about Jesus as the Messiah, as the future king of Israel, as they understood it. The dream of the royal glory in the near future was written in their minds in huge, bright letters. Jesus’ words that He will go to Jerusalem to suffer, to die and to rise again on the third day – they did not made a sense to the disciples. As we read, seeing that the tomb in empty and all Jesus’ burial clothes are still there, the disciples were beginning to realize that these strange words, in fact, is the heart of Jesus’ message. That He indeed is the King, the Messiah, the Saviour, but in a totally different scale. His Kingdom has come, but this Kingdom has no equal in this world. You cannot make a sense out of separate events if you don’t know a whole story. It is like joining a conversation when it has been going already for a couple of hours. You can understand words, but you cannot make a meaning out of what is discussed. As we read, the disciples realized that Jesus has been telling them the whole story all the time, they just weren’t getting it. Suddenly everything made a sense. Jesus words, His death and even the empty tomb. There was something so grand and magnificent going on, something truly mind boggling, because of its enormous significance, and the disciples were soon to discover it in its fullness. Jesus was not carried away. His body was not stolen. He was risen! The Christian faith is not built on the foundation of the empty tomb. No, not at all! Our faith if built on the foundation of the risen Lord Jesus Christ. For He is risen! This fact made all the difference for His disciples. For several years they had been seeing Jesus as the means to the desired end, as the one, who will fulfil their dreams about this wonderful kingdom where they be reigning together with Jesus. Suddenly everything was different. Totally different. Jesus was not anymore the means; He Himself was the end and the fulfilment of everything the disciples could only dream about. Jesus was infinitely larger than anything His disciples have dreamed about. He Himself was the true God! Suddenly they understood to the depth of their hearts, what it means to love their God with all their heart, with all their soul, with all their mind and with all their might. Jesus sacrificial love, humility and His divine power made Him so beautiful in their eyes. They didn’t want anything else, if only they could have Jesus. That is what the Holy Spirit does. He teaches us about Jesus. The true God, and the true man, about the One, who came down from the heaven to save us from our captivity to sin. and death. About this One, who loved all of us so much that He rejoiced giving His life in exchange for yours. Everything we have, we have received from Him. But this is just a beginning. He has prepared for you something that the human eye hasn’t seen and the human mind cannot think of – dwelling in His presence. Yes, Christianity teaches what is right and what is wrong. So do the other religions. The Christian teaching is a great resource for moral education. So are the other religions. The Bible has wonderful stories, which teaches us about humanity, as do other sacred books. And so on. Christians do all these great things, but this is not the heart of our faith. Our faith is not in its foundation about any teaching, or about morality and good deeds. Our faith is about this one unique event in the history of mankind. About an event. Not about stories and teachings. An event. Our faith is historical faith. It is about this reality. About eternal, almighty God entering our history as the man Jesus Christ. Living, dying, rising from the dead, and after His resurrection appearing to His disciples at different times and places. Once even to 500 people at the same time. Remove this one event from our faith and we are just one nice religion among others. This fact, the historical reality of Jesus resurrection makes all the difference. Why would you go and try to persuade someone that your faith is better than their faith? There is no purpose in doing it. That’s why many religions can be so tolerant one to another. They all are made up of just stories and teachings. Pick whichever you like and go with it. But take this example: when on 8th of May 1945 the allies entered Berlin, and WWII was over. The war was won. Victory was secured. No more fear. No more threats. No more sufferings and deaths. What can you do with this fact? You cannot just keep it as your private opinion and preference. That is the historical fact, the historical reality. Everyone can have a different sentiment regarding it, but it doesn’t change the fact of victory. With His resurrection Jesus triumphed over the sin, the death and the devil. This victory is final. This is not a story, this is not just a teaching. This is the historical reality confirmed by hundreds and hundreds of eyewitnesses. Also our gospel accounts are trustworthy accounts of the same eyewitnesses. You can like this fact and rejoice about it, or you can hate and abhor it. But your attitude doesn’t change the reality. And reality of Jesus resurrection speaks loudly to us – our birth, our life here or Earth and our death – this is not the whole story. After that comes the resurrection. No one can ignore this God. We can think that we are going to live our life, then die, and then we are done. No, as Jesus rose from the dead, similarly at the final day He will raise everyone, and everyone will have to give an account. There is no escape from this God. He has so mightily acted in history so that we can have all reasons to take His words seriously. All His words. He said that He is going to Jerusalem to suffer, to die and to raise again. Indeed, we can trust what Jesus says. He did exactly as it was announced before. We can trust Him. This is our faith – when we trust that this God and man, who has kept all His promises, will keep also those which apply to us. After His resurrection Jesus reminded His disciples, and He reminds us, what the content of His promises is. We are not aliens to Him. He has accepted us into His royal family. All of us. We are all God’s sons and daughters. Each of us. In our Baptism we have been joined with Christ both in His death, which wins victory over death, and in His resurrection, which gives us life everlasting. He is risen. And so will we. He has already gone to His Father and our Father, and so will we. He has already inherited the Kingdom of God, and so will we. Exactly as He promised. His resurrection is the beginning of our new life. He is risen. And so will we rise.